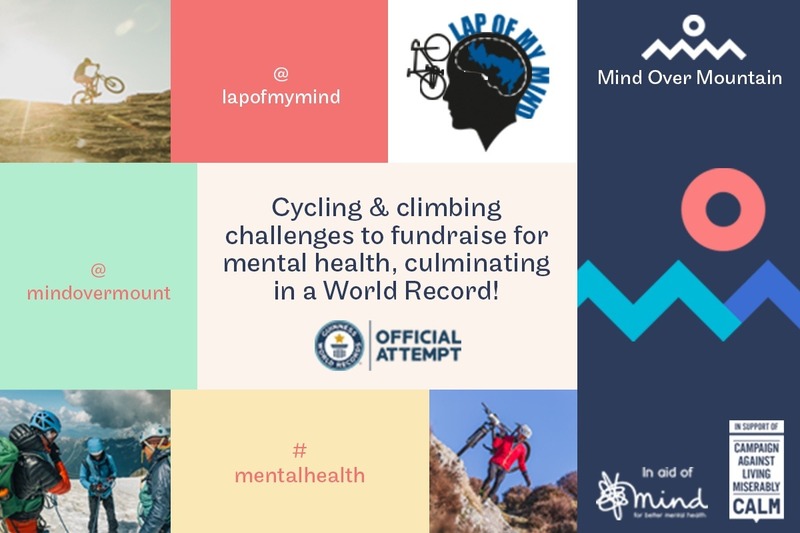 Lap of My Mind is one of four Mind Over Mountain challenges, culminating in a World Record attempt to cycle higher than anyone ever! The high-profile from this World Record will be used to drive awareness of mental health, as well as substantial funds, for Mind and Calm charities. For Mind Over Mountain to break the record, we need to raise funds to cover part of the costs of the World Record expedition because of its location, scale and risk. Funds that will ultimately help to raise substantially greater amounts of awareness and money for mental health and our charities. Your generous support for Lap of My Mind will be divided with two thirds going to mental health charities Mind and Calm. 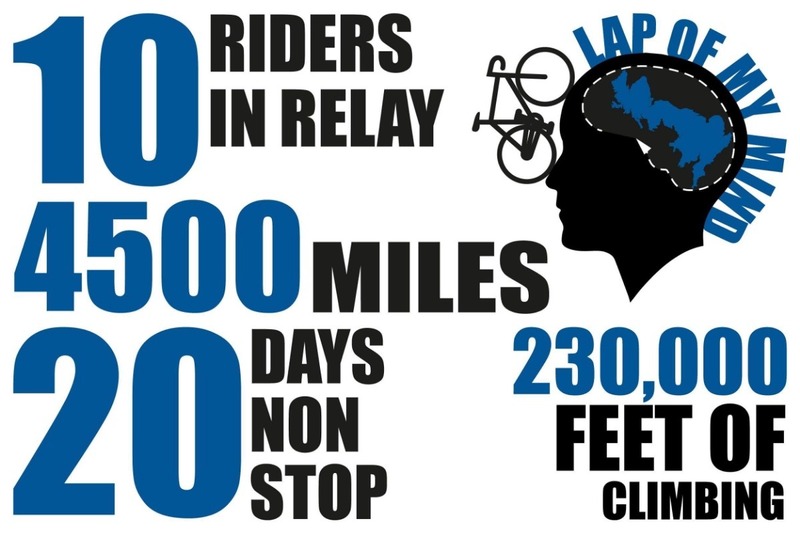 The remaining third will go directly to help fund the Mind Over Mountain World Record attempt. At some point in our lives we will all be affected by mental health. Mental illness doesn’t discriminate, it’s affects all of us. Support Lap of My Mind to help Mind Over Mountain and mental health charities Mind and Calm.